Thursday is here and the weekend is getting closer. We want to give you a heads up about the offers and bonuses at Casumo that you can claim from today until Sunday. There are free spins up for grabs as well as Super Spins. Not to mention the special tournament tonight and tomorrow where you can win some great cash prizes. The best part is that Casumo adds another £1000 to the first prize both nights. If you’re not a member at Casumo already we highly recommend this online casino since you are in safe hands and you will gain access to all the latest and coolest casino games. 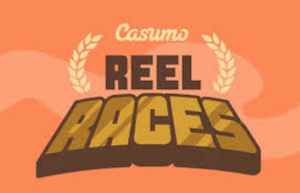 As you may already know Casumo starts a new reel race every 30 minutes and every night at 20:00 there is a main event with a bigger first prize. Sometimes the casino wants to increase the excitement with a bigger tournament and tonight’s the night! At 20:00 you should log in at Casumo and spin the reels on the thrilling videoslot called Book of Dead. Collect points by winning and hopefully you’ll end up the winner of the reel race as well. If you grab the first prize you will get a dazzling £2000! If you don’t make it tonight you’ll get another chance tomorrow again, the 18th of November. Log in and play Book of Dead again at 20:00 and keep your fingers crossed that you end up the winner! The cash prizes during the tournaments at Casumo are of course free from wagering requirements. If you visit Casumo on Friday at 12:00 you can make a deposit and earn free spins. 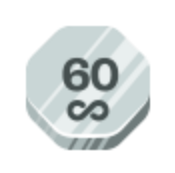 The amount of bonus spins are based on your level at Casumo. With a higher level you will receive more free rounds. If you’re between level 1 and 60 you will get 20 spins, if you’re between level 61 and 120 you will get 35 bonus spins and if you’re between level 121 and 181 you will get 50 free spins. All of the free rounds will be credited on the videoslot Book of Dead. This offer is available until 23:59 on Saturday the 19th of November. Last but not least there are Super Spins waiting on you on Sunday. As usual you can log in and play until you level up. Then you will receive a bunch of Super Spins on a selected videoslot. Every spin is worth £3 and you can win over £3000 on one single spin. Casumo makes sure you don’t get bored when you want to enjoy casino games!